No more sitting there pounding margaritas before a ferry ride to Oakland for a Burger Boogaloo or a happy hour (or sitting there pounding Fernets all afternoon when a ferry fails to turn up). The restaurant’s landlord, the Port of San Francisco, wants Sinbad’s gone from its prime location on Pier 2 near the Ferry Building by March 21. 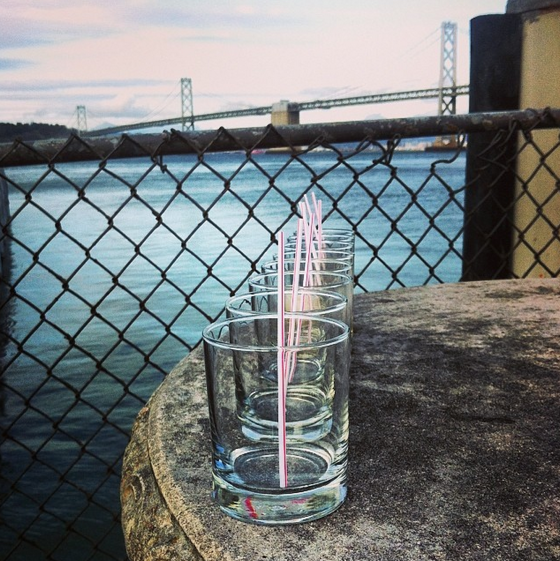 With its unmatched views of the Bay Bridge, Sinbad’s has been a waterfront institution in The City since the 1970s. Despite decidedly mixed reviews from diners — along with repeated warnings from the Public Health Department about food-safety issues — the restaurant is a popular cocktail destination for service-industry workers, locals and tourists. Sinbad’s has also been a thorn in the Port’s side, documents show. It has often been late with rent payments and has bounced checks — at one time the eatery owed the Port $220,000. Sinbad’s also has caused at least five sewage leaks into San Francisco Bay over the past six years, the most recent of which was in January, according to a Port memo. Read on for more on the possibility (unlikely) of a reprieve. Never went there. Oddly uncurious of me.